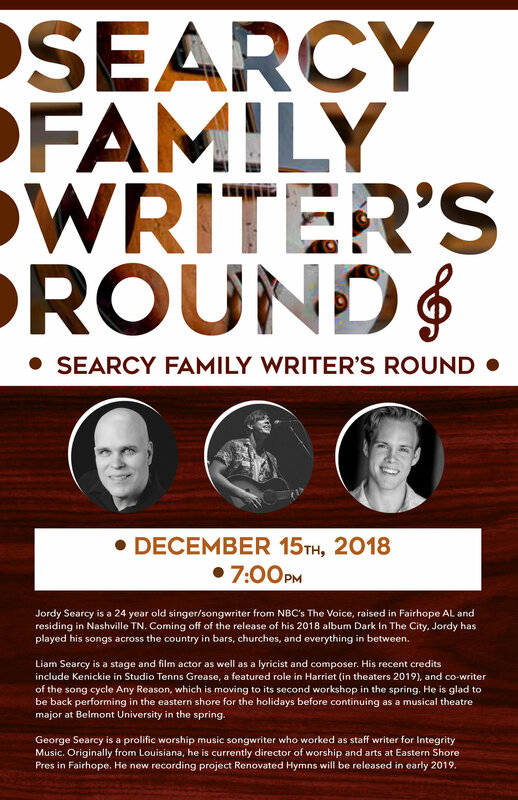 Come and Join us for musical evening with the Searcy Family! 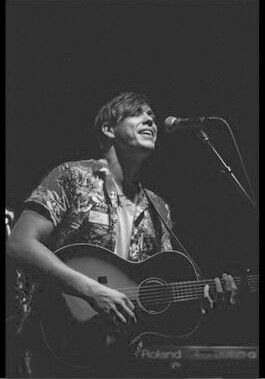 Jordy Searcy is a 24 year old singer/songwriter from NBC’s The Voice, raised in Fairhope AL and residing in Nashville TN. Coming off of the release of his 2018 album Dark In The City, Jordy has played his songs across the country in bars, churches, and everything in between. Liam Searcy is a stage and film actor as well as a lyricist and composer. His recent credits include Kenickie in Studio Tenns Grease, a featured role in Harriet (in theaters 2019), and co-writer of the song cycle Any Reason, which is moving to its second workshop in the spring. 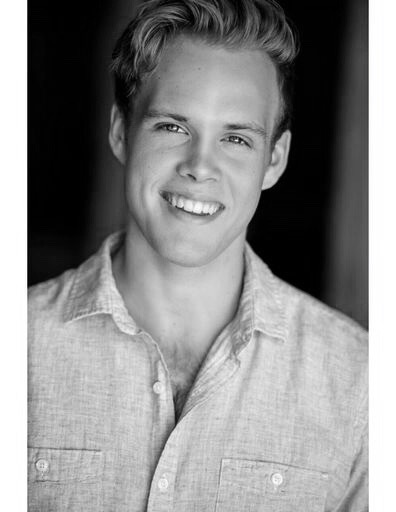 He is glad to be back performing in the eastern shore for the holidays before continuing as a musical theatre major at Belmont University in the spring. 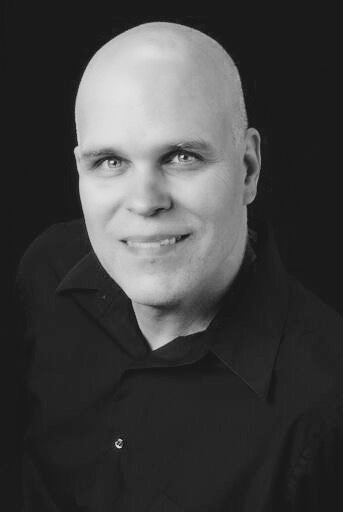 George Searcy is a prolific worship music songwriter who worked as staff writer for Integrity Music. Originally from Louisiana, he is currently director of worship and arts at Eastern Shore Pres in Fairhope. He new recording project Renovated Hymns will be released in early 2019.